When you’re constantly worrying about overwhelming work, school, or financial obligations, spending time doing things you enjoy can seem like a luxury that you simply can’t afford. However, for the sake of your own health and productivity it’s imperative that you fit some good relaxation and enjoyment into your schedule somewhere. After all, science has proven that all work and no play is a sure route to depression, stress, anxiety, and reduced creativity. A conventional hot tub is certainly not low-cost, and being that they’re heavy and bulky, they’re not exactly a flexible option either. Fortunately, nowadays you can get an inflatable portable hot tub for much cheaper, and you can even bring it along with you on business trips. Portable Tubs HQ reviewed the Intex Inflatable Hot Tub and highlighted how much cheaper and more versatile this option is than the traditional stationary hot tube. Having a tub that you can stow away in the trunk of your vehicle and bring with you is a huge convenience and it opens up a whole new realm of scenic relaxation possibilities. Bowling night is a cheap and fun way to interact with friends, get some exercise, have some drinks, enjoy some good food, and win a few close bowling matches while you’re at it. Even if you’re not currently the best bowler in the world, learning the sport is easy and it’s a great festive activity for the whole family when you’re looking for something exciting to do with your time off. Jumping in the water and going swimming costs little to nothing, depending on whether you have to pay for entry to a pool or have access to one at your home. Going to the beach to go swimming only costs the gas money to get there and the time spent driving. Either way, getting in the water and soaking up the sun is good for you, as studies have shown that swimming is one of the most effective aerobic activities. Exposure to sunlight also helps you get adequate vitamin D, which helps prevent depression and strengthens the immune system. If you’re a busy person that is regularly in charge of making serious decisions, chances are you’d enjoy a good game of chess here and there. 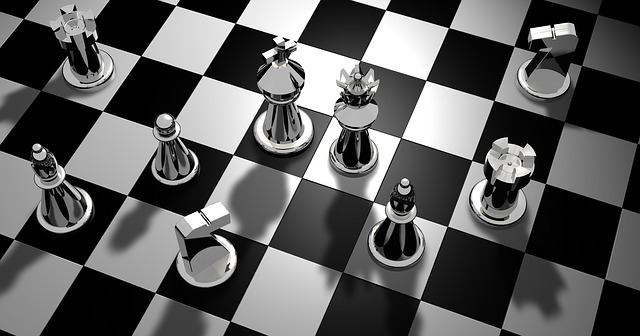 This ancient game is known to sharpen strategy, logic, reasoning, and problem-solving skills, and people who frequently play chess are typically more capable of controlling their stress levels when confronted by challenging circumstances. Playing chess regularly will help you make better business and life moves by strengthening the part of your brain responsible for decision-making. Did you know that science has proven that pets are highly efficient stress relievers? In fact, many doctors prescribe pet companions to people who are suffering from depression and social anxiety. Having a furry friend is a great way to cheer yourself up during times when you would otherwise be left in solitude to think about all of the pressures of life. Instead of dwelling on the past, present, and future, why not let go of it all for a little while and kick back for a bit of creature comfort with your favorite critter? Everyone knows that Dr. Claw wouldn’t have been able to compete with Inspector Gadget for all those years without the furry head of MAD Cat to relieve him of his villainous stress at his most burdensome times. Stopping at the billiards hall for a few competitive rounds of pool can be a nice way to enjoy a bit of spare time. It’s also a good way to hone your concentration and hand-eye coordination skills. Plus, you can make things more interesting by betting on matches for a chance to win money and bragging rights. Most billiard rooms are lively environments with music, cool lighting, and arcade games nearby. Some pool halls will also have a pub or bar attached, so you can get a few drinks in while you’re in pursuit of the 8-ball. Being active on social networking sites like Facebook or Twitter doesn’t cost anything unless you’re using their paid advertising platforms. Simply adding new friends and followers is a completely free activity and it’s a fun way to expand your overall networking capabilities. You might also want to sign up for new social sites or popular platforms you haven’t yet joined. Go down a list of the most popular and influential social sites and try to create a detailed profile on each one. Don’t forget sites like Instagram, Periscope, Pinterest, and Reddit. Of course, the above list is by no means all-inclusive, so be sure to spend some time brainstorming about things you like to do. Making a list of your favorite hobbies is a good way to prioritize your free time to ensure you’re leaving space for the things that give you much-needed inspiration and entertainment.